Watches are basically used for knowing time, so they help us to be on time when we wear them. The watches’ function and importance are not limited to knowing time, as they are also considered to be pieces of accessories. Watches complete our outer shape sometimes they are thought to be a sign of luxury and wealth. There are many expensive watches that cost more than one million dollars. Among the most expensive watches in the world are the diamond watches that will cost you a lot of money and you will not be able to buy one of them unless you are a very wealthy person. Expensive diamond watches are for both men and women, so they are not limited to women only because of the diamond pieces in them. 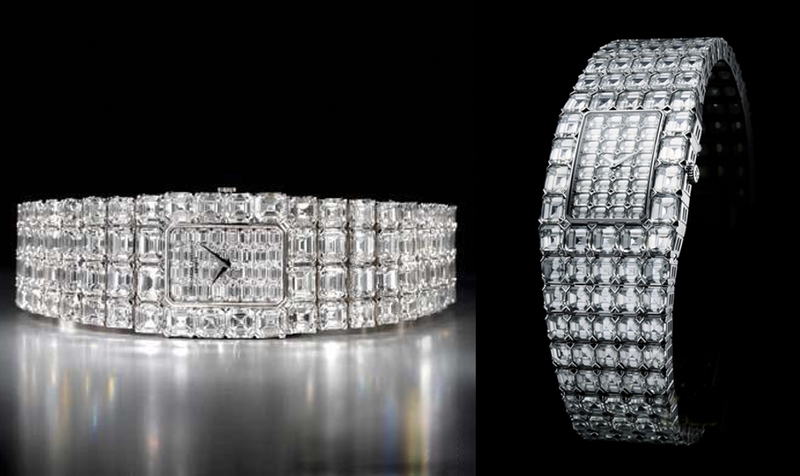 Below are some of the most expensive diamond watches in the world and their prices that will astonish you. This watch is made by Chopard. The watch is inlaid with 201 carats as there are three pieces of diamond (15 carat pink diamond, 12 carat blue diamond and 11 carat white diamond) and they take the shape of heart. 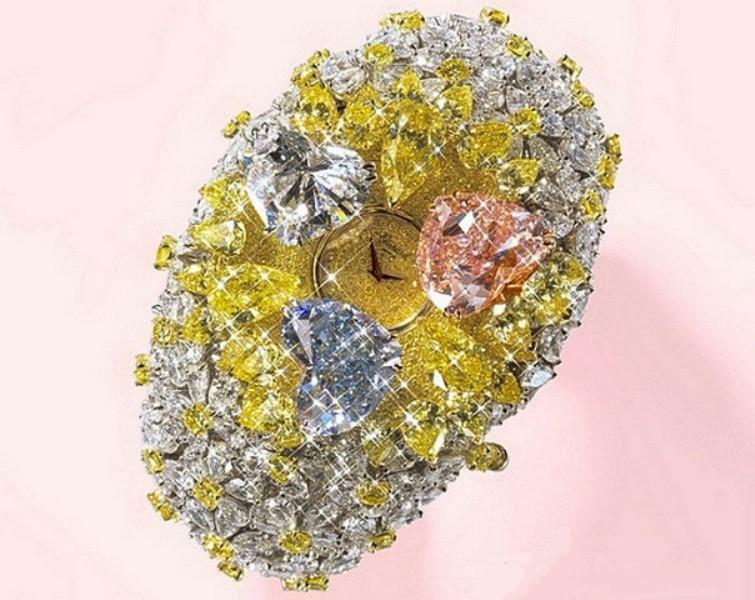 This watch also has 163 carats small diamonds in yellow and white colors around the heart-shaped diamonds. 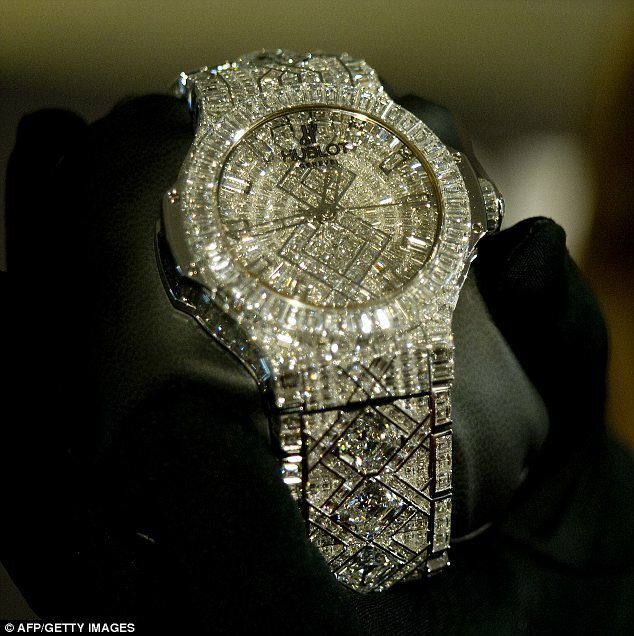 This watch is the most expensive watch in the world as it costs 25 million dollars. It is an expensive watch that costs 11 million dollars. it is inlaid with 118 diamonds. 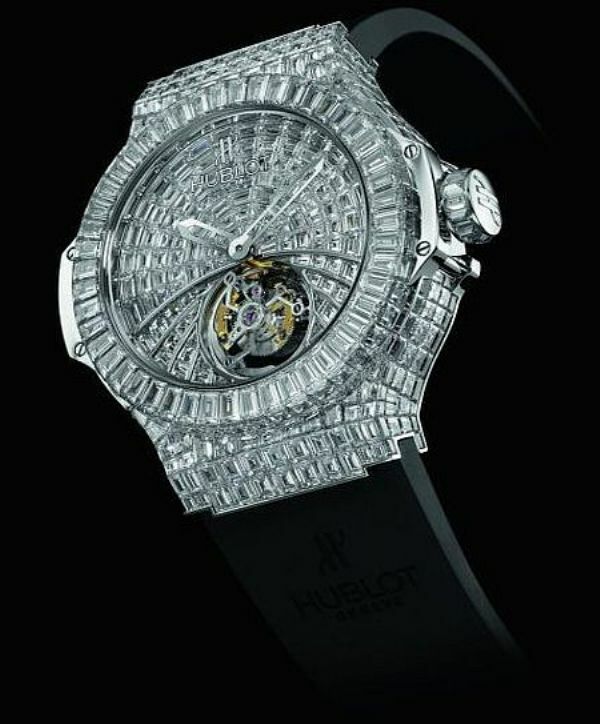 This watch is the most expensive watch of Hublot watches. It is inlaid with 1,292 diamonds. It needed 17 persons and 14 months to design the watch and finish it. The watch takes the shape of a temple or pyramid in which there are two watches that are hidden under the surface. 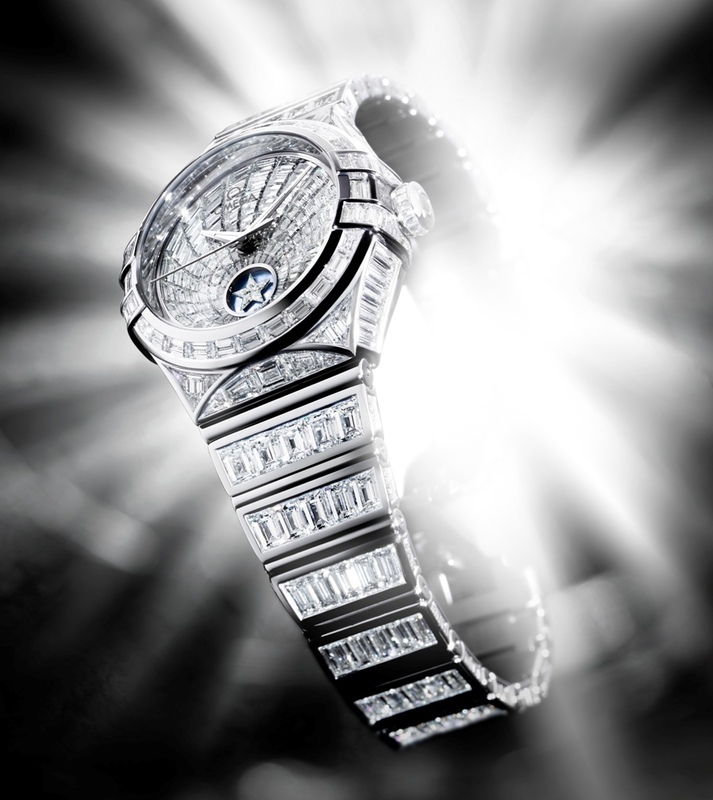 It is inlaid with 1212 diamonds that are distributed on the watch. The watch costs 3.3 million dollars. 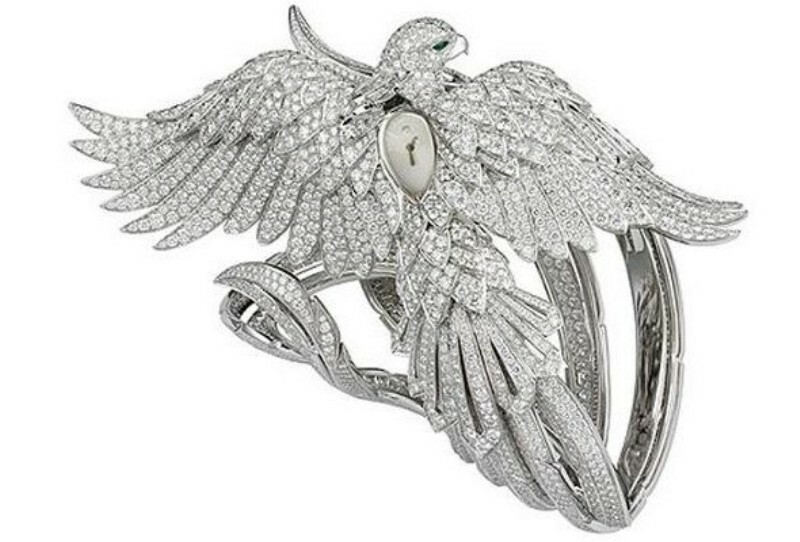 Cartier Secret Watch is a phoenix shaped watch. It is inlaid with more than 3000 diamonds. They are distributed on the whole watch to show its beauty. 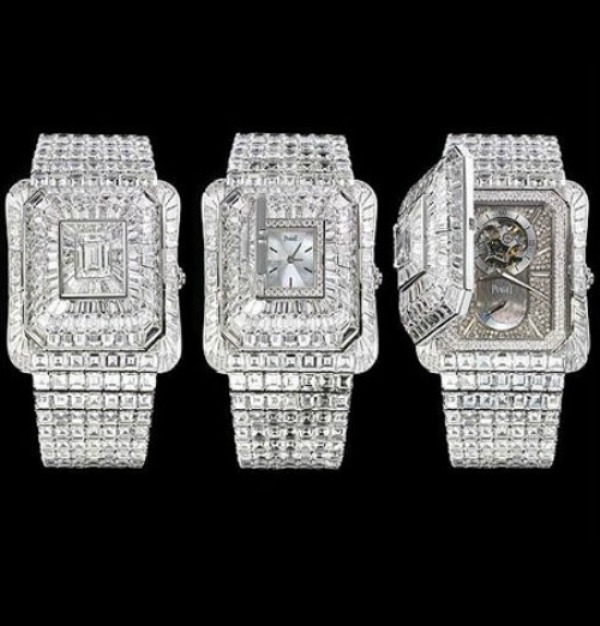 The watch is made of white gold and costs 2,755,000 million dollars. 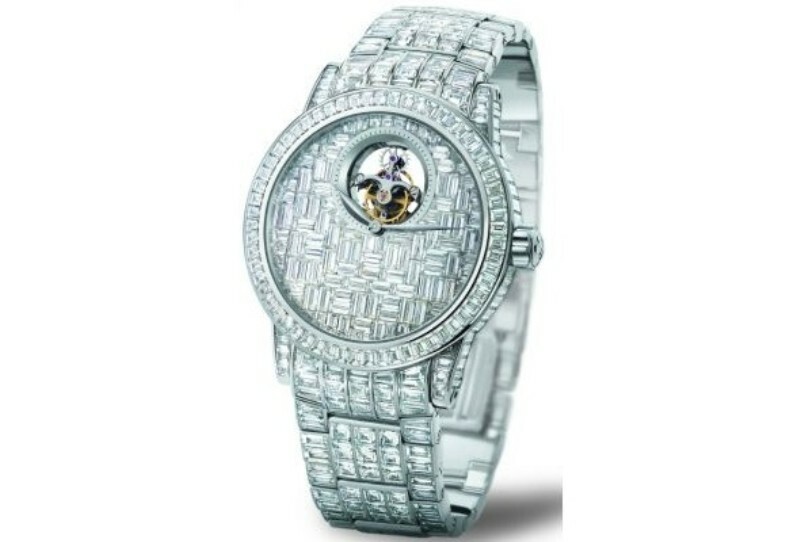 In this watch there are more than 480 diamonds. You will find self winding function and the ability to keep power for seven days. The watch costs 1.8 million dollars. 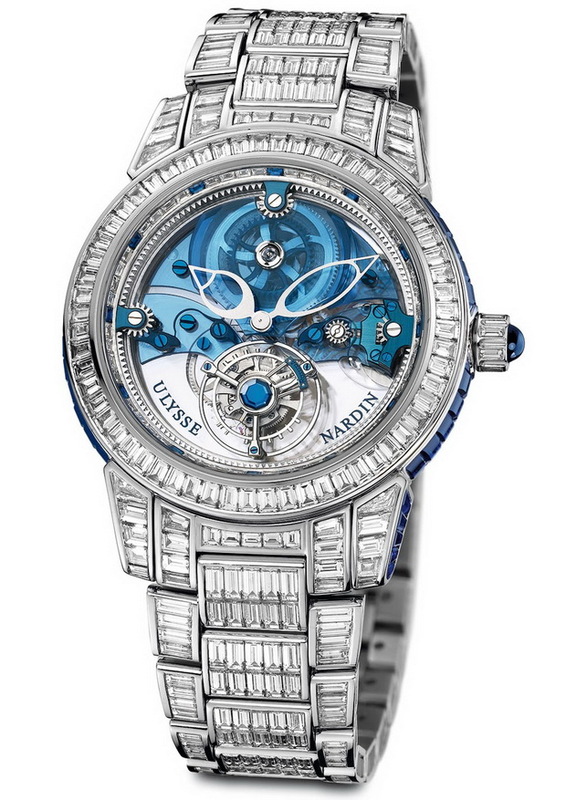 The watch is inlaid with 568 shiny diamonds and 234 blue sapphires. The watch costs 1.1 million dollars. It has the blue color which beautifies the whole watch. 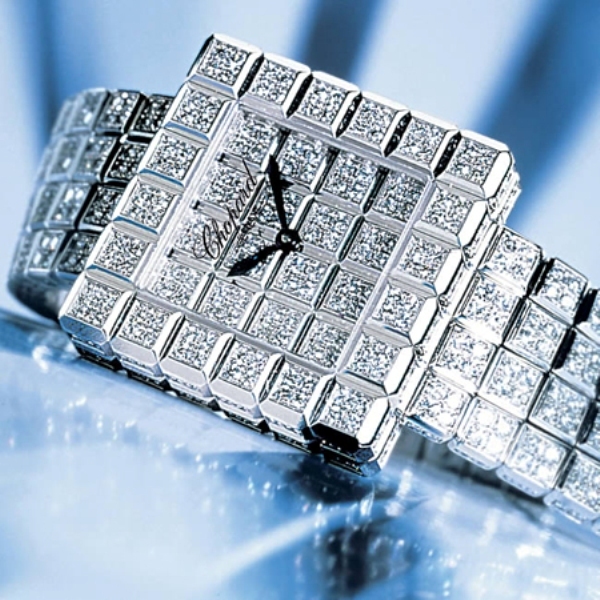 It looks like ice cubes and that is why it is named Chopard Super ice cubes. 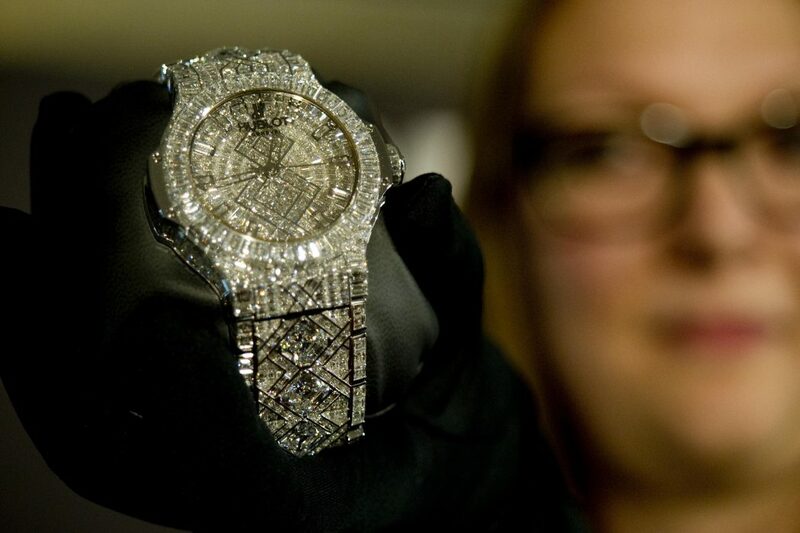 It is covered with 66 carat diamonds and it costs 1.1 million dollars. 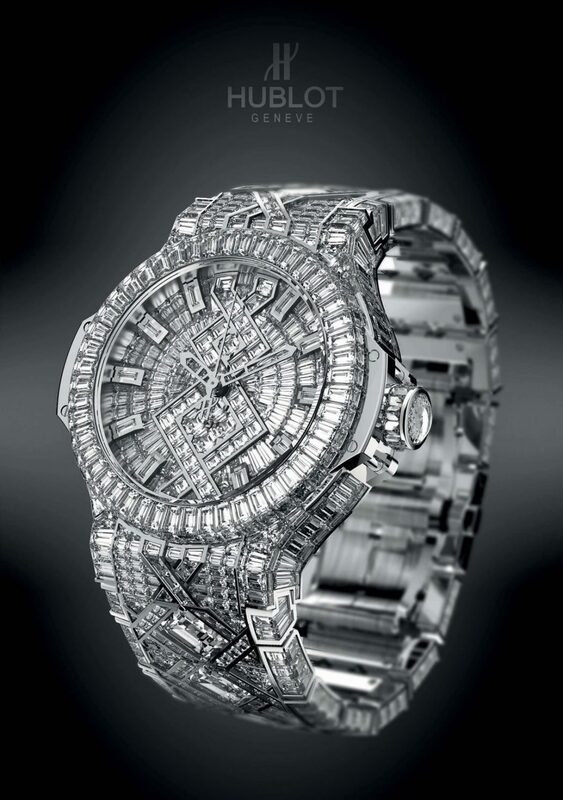 The watch is covered with 568 diamonds and 234 royal blue sapphires that give the watch a gorgeous look. There are only 30 pieces for this watch. The watch costs one million dollars. The case of the watch is made of gold white. It is covered with about 500 diamonds. 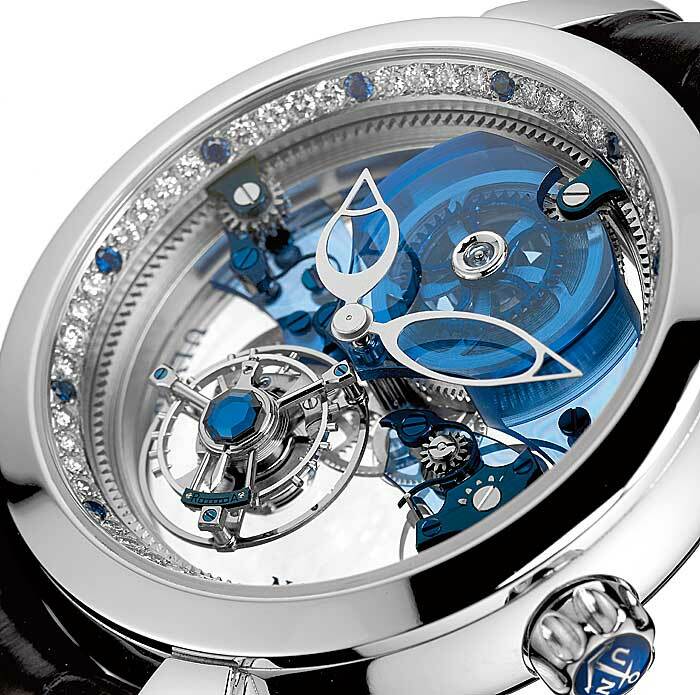 The watch costs one million dollars and available in one piece. 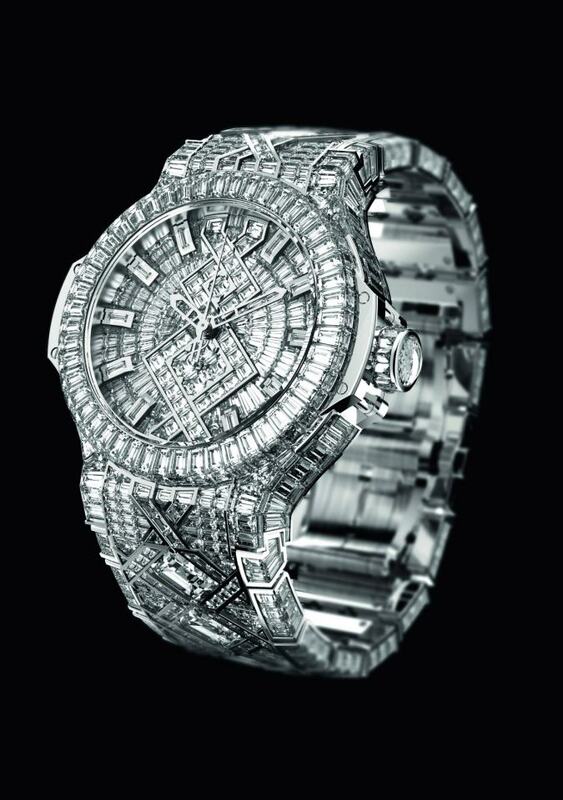 This watch is inlaid with 459 diamonds and 146 diamonds on the dial. The watch is made of white gold. It costs 708,742 dollars.